We are a custom builder on the Sunshine Coast specialising in luxury homes, design and construct projects and knock down rebuild projects. Gibson Building is a Design/Builder of unique Custom homes. Director Kieran Gibson is passionate about individual design and quality construction detail and has been involved in all facets of the industry for over thirty years. Sun Built Constructions is offering a new way to build using a construction management system called C2C (Concept to Completion). It puts you in control of your building project from start to finish and all costs are completely transparent so you see where your project costs are in real time, while still protecting you with a guaranteed maximum price. Imagine building your next house with a builder who is on your side, actively trying to reduce your building costs, rather than one who is just waiting to sting you when you make a variation. We use a transparent building system called C2C, where we manage your project for a fixed price and only get paid more when we deliver you even more savings. This building system turns the construction industry completely on its head and puts you as the client in complete control of the project. It means that you can make variations and you only pay cost price, which is completely unheard of in an industry rife with hidden costs and charges. You can have complete peace of mind, secure in the knowledge that you have a builder working for you who is constantly monitoring costs to keep the budget on track. Sun Built Constructions builds New Homes, Renovations, commercial and industrial projects, with a Guaranteed Maximum Price, using construction management. We would love the opportunity to speak to you about this unique approach to building, and would be pleased to provide you with details of satisfied customers who have used this new approach. Ayla Constructions is a local Sunshine Coast based building and construction company, servicing South East Queensland and regional areas. Our directors are not sales people, they are builders who will listen to your ideas and will tell you honestly if they are possible or not. High quality doesn't mean high cost. 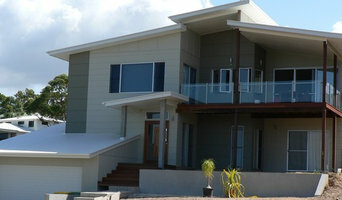 Award Winning Sunshine Coast Builder. Beautifully Elegant Bespoke Furniture & Design We are specialists in Bespoke Timber Furniture Looking for something different? 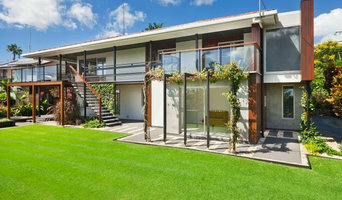 With an extremely talented design team Timberart will create a stylish, contemporary unique style throughout your home. Timberart Furniture offers an unsurpassed range of products and services delivering the complete package of unique furniture for your home. We are like no other furniture manufacturers. At Timberart, furniture isn’t manufactured. It is handmade by our incredibly skilled craftsman. For over 10 years we have been designing and crafting the furniture for those who appreciate the finest quality and attention to detail accompanied with impeccable customer service and delivery. Take a look at our COLLECTIONS and CUSTOM MADE furniture galleries to find your dream design piece! Pool Fab has been designing and constructing award winning swimming pools and aquatic environments on the Sunshine Coast for over 30 years. More than just a pool company, we work closely with each and every client on creating their own unique outdoor oasis that they will love to live in. Offering full Aquatic Landscape 3D Design we inspire the client through every stage from conception to completion. For nearly sixty years a local family business has been consistently building high quality developments – everything from luxury project homes to multi-million dollar high-rise apartments and gated communities. Craftsmanship, an eye for design and years of experience has passed from one generation to another and built one of the most long-standing and successful Sunshine Coast building companies – Squire Development Group. After taking advantage of the inner-city apartment living boom in Melbourne in the 1960’s, builder Ron Goding was attracted to the warmer climate of Queensland’s Sunshine Coast, and teamed up with son-in-law Peter Fletcher to make the move North in 1980. It was an exciting time to be building on the Coast with key new areas quickly growing to meet a high demand in the market. Ron and Peter’s first major project involved the construction of a 17 villa block in Maroochydore and was quickly sold out. The success of this development encouraged the pair to invest in some key blocks of land in Cotton Tree, Alexandra Headland and Maroochydore where they produced iconic and well-loved developments and set about securing Squire Group as a leader in the property industry. 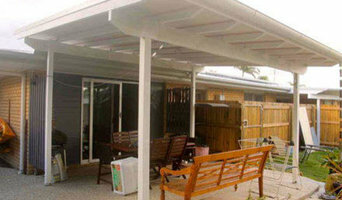 Award-winning builder in HIA and Queensland Master Builders Award in 2012, 2010 and 2008. Beautiful Homes in Beautiful Locations Beautifully Built - We build innovative, contemporary and 'unique' homes, built with quality craftsmanship on green building principles. We guide you through the building process towards your beautiful home that will perform to high levels of comfort, liveability and energy saving. Based in Queensland, we are a custom building company offering one-on-one service, specialising in unique sites, sloping sites and small-lots. All our buildings are individually designed to suit your site, needs, budget and lifestyle. We specialise in sustainable housing, with an ongoing commitment to climate-responsible design, materials and construction for our environment. As a Master Builders Green Living builder, our vision is to construct sustainable, innovative and well-designed buildings with the best and latest green building technology for our clients. We are a team of excellent builders with a wealth of knowledge when it comes to New Homes and Custom Builds, Second Story Extensions and Renovations. We have great design ideas, we listen and are perfectionists! You deal with the builder right the way through your project, from the estimate through design to final build Jeremy is with you all the way. Just check out our Facebook Page for past works and references. Founded in 2013 to provide an all inclusive home design service for new build, renovation and house and land package clients, Immackulate has fast become the Sunshine Coast’s leading designer home company. New Designer Homes' small dedicated team, build cost effective custom designed homes focusing on personalised service, superior quality and business integrity. We are intentionally smaller volume builders and very hands on in our approach. Our contractors are hand selected, long term and justifiably proud of our quality product. 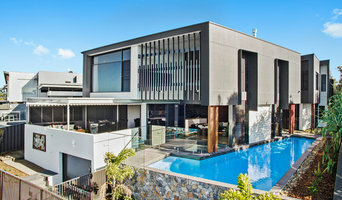 Firms that can carry out both design and construction in Sunshine Coast, Queensland take on the combined responsibilities of an architect, draftsman, construction company and additional contractors, providing one point of contact for homeowners. Having one entity responsible for the entire design and build, from estimation to subcontracting and even post-construction, streamlines and often speeds up the project significantly. Having a unified project team can also help you avoid unforeseen costs and delays in construction. In addition, the homeowner only has to interpret one contract with the design and construction firm, and not with various architectural design and contracting professionals. However, depending on the firm, you may still want to contact an interior designer or architect to help create the exact look you want. Here are some related professionals and vendors to complement the work of design & construction firms: Interior Designers & Decorators, Landscape Architects & Designers, Architects, Photographers. Project management demands time, skills and an eye for both detail and efficiency. While many homeowners choose to manage their own projects, they can often regret their decision once the build or home improvement project is complete. Homeowners should carefully consider the time they have available to allocate to locating, hiring and eventually paying every contractor who enters the site. From certifiers to roofers, and even your draftsman, a firm that can undertake design and construction in Sunshine Coast, Queensland benefits from having all of these home professionals under one roof. 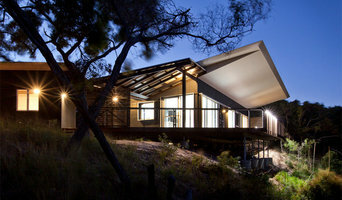 Find a Sunshine Coast, Queensland design-build firm on Houzz. Scroll through this page to find design-build firms in your area. You can browse recent projects, read reviews and message the firm directly. Another way to find a firm that can carry out design and construction in Sunshine Coast, Queensland is to browse Photos on Houzz. If there’s a photo you like, find out who designed and constructed it and strike up a conversation with the professional responsible.